Back when Facebook was created in a docile dorm room, the 19-year old Harvard student wouldn't have estimated that a quarter of the world's population would be hooked to his service. Unlike Victor Frankenstein's creature, Facebook's birth did not happen in a dreadful lab, but in a docile dorm room at Harvard University. Back then the 19-year old Harvard student wouldn't have estimated that a quarter of the world's population would be hooked to his service. The growth spurt has given Facebook and its creator tremendous power. From dorm rooms to court rooms, the brand has had a roller coaster ride since its birth in February 2004. Mark Zuckerberg had always been a keen programmer. In college, he developed websites for his peers and even began something as flamboyant as FaceSmash, which was a site made to rate people on the basis of their attractiveness. He quickly upgraded to Facebook, a site with detailed profiles of students and staff. Right off the bat, the idea took off like wild fire. Within a day, the page received profiles of 1,200 Harvard students and in a month it spread to half of the undergraduate population. From there, it quickly spread to other American Universities. In August 2005, the company went international with a .com domain which it purchased for $200,000. However, they were still dealing with educational institutions. All that changed in September 2006 when Facebook was open to anyone with a registered e-mail id. In the year 2007 they registered revenue of $153 million which increased to $272 in the next year. In 2009, they generated revenue of $777 million and a net income of $229 million. They touched the billion mark in terms of revenue in 2011. They listed themself in the stock markets for the first time in 2012. There was an initial dip in stock prices of Facebook Inc. but the company revived quickly and has been on the steady path of growth since then. Facebook's business model has been developed around advertisements where the main product is the consumer. The company collects data from the subscribers and uses that information to target advertisements. This data was used in events as big as US Elections. In the year 2012, Facebook turned from just being a place to stay connected to an active site of campaigning. Barack Obama created a campaign website where supporters could consensually log-in to the site and provide their details for data collection. This was the one of the occasions Facebook's real potential was unleashed in front of the world. With the world watching, their influence was legitimized after Obama's clear win. With power comes responsibility, but that might not be the case with Facebook. The company kept expanding in markets all over the world; adding features, better ways to target users and even acquiring big names like WhatsApp and Instagram. The growth was exponential but there was a clear lack of self regulation. In 2015, the brand uncovered inappropriate extraction of user data by an organization called Cambridge Analytica. However, the company failed to notice legal authorities and asked the organization in question to delete the data on their servers. Facebook took Cambridge Analytica's word when they agreed to deleting it. The Russian involvement in US Elections was another major blow to Facebook's credibility. Though the company may not be directly involved in spreading agendas, it has turned into a sort of a political weapon. So far, personal data of its 2.2 billion users was seen as a source of revenue, but has suddenly turned into a liability for the brand. The Network Effect has, in a way, propelled even uninterested people to go on to the biggest social media platform. Network Effect is a phenomenon where a network or brand has made itself so necessary in the online space that it becomes a grave challenge to function without it. Small businesses too rely heavily on Facebook for daily operations. The Network Effect ends up increasing the number of users and providing Facebook with more personally identifiable data. 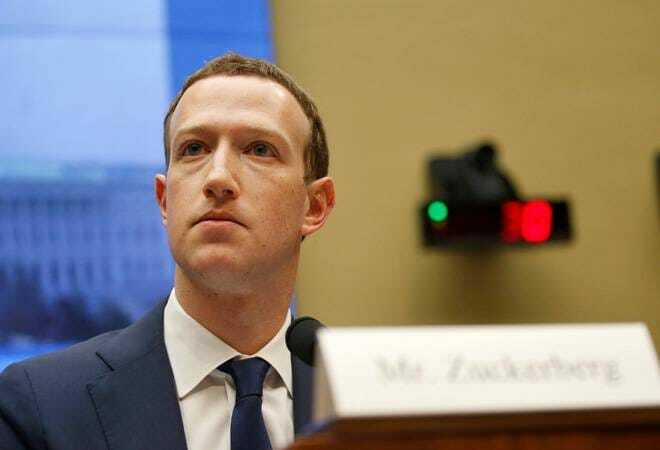 After repeated allegations, the now 33-yr old Mark Zuckerberg testified in front of the US Senate and Congress for the first time earlier this week. The questions did throw him off the mark (pun intended) and made us realize that the Frankenstien's monster has gotten too big to control, even for its creator. The advertising model does increase reach but lacks liability on the part of internet giants like Facebook.